The UK tour of Rebus: Long Shadows comes to Cardiff’s New Theatre from 5 – 9 February. The new production is written exclusively for the stage by author of the original novels, Ian Rankin and playwright Rona Munro. Ron Donachie plays John Rebus and is no stranger to the role having created it for all the BBC Radio dramatisations of the Rebus novels. He also played Deputy Chief Inspector Gunner in the Rebus TV series and Ser Roderick Cassell in Game of Thrones. He’s joined on stage by Dani Heron (Angela), Eleanor House (Heather/Maggie), Neil McKinven (Mordaunt), John Stahl (Big Ger Cafferty) and Cathy Tyson (Siobhan Clarke). In Rebus: Long Shadows, Detective Inspector John Rebus is retired but the shadows of his former life still follow him through the streets of Edinburgh. Whisky helped but now he's denying himself that pleasure. But when the daughter of a murder victim appears outside his flat, he's back on the case and off the wagon. Ian Rankin is the internationally bestselling author of the Inspector Rebus and Detective Malcolm Fox novels, as well as a string of standalone thrillers. His books have been translated into 36 languages and are bestsellers on several continents. Rankin has won multiple awards including four The Crime Writers Association Dagger Awards, and in 2004 received America's celebrated Edgar Award. He is also the recipient of the OBE for services to literature. Rona Munro has written extensively for stage, radio, film and television. Her theatre credits include The James Plays, Scuttlers, Iron – which won the John Whiting Award, The Last Witch and Little Eagles. Her television credits include Rehab, Bumping the Odds (BAFTA nomination), and Doctor Who; and for film, Ladybird Ladybird and Oranges and Sunshine. 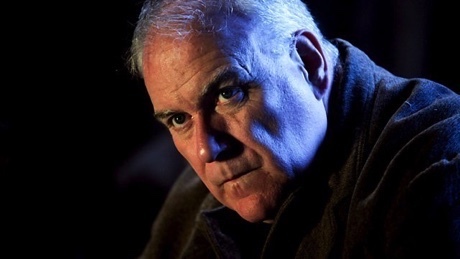 Ron Donachie’s television work includes Game of Thrones, series regular Billie Byrne in Waterloo Road, Vera, Downton Abbey, The Loch, River City and Shameless; and for film Outlaw King, Steel Rain, Filth, Blitz, Made of Honour, Titanic, Jungle Book and Beautiful Creatures. John Stahl’s television credits include playing Rickard Karstark in Game of Thrones. Other credits include Shetland, High Road and Resort to Murder; and for film, Mary Queen of Scots, Victoria and Abdul and Loch Ness. Cathy Tyson is a Golden Globe and BAFTA nominated actress, her television credits include series regular Carol Johnson in Band Of Gold. Other credits include Gold, Scully, Always and Everyone, Night & Day, Grange Hill, Bonkers, The Liverpool Nativity, Perfect and Rules Of Engagement; and for film, Together, The Fight, The Marker, ChickLit, Mona Lisa - for which she won the Los Angeles Film Critics’ Award for Best Supporting Actress, Priest, The Lost Language of Cranes, The Old Man Who Read Love Stories, Ollie Kepler's Expanding Purple World and Business As Usual. Rebus: Long Shadows plays at Cardiff’s New Theatre from Tuesday 5 until Saturday 9 February 2019. Tickets are available from the Box Office on (029) 2087 8889 and newtheatrecardiff.co.uk.